The 2011 South Asian Community Conference was an outstanding success! Hundreds of people from all walks of life filled the Queen Elizabeth Secondary School gymnaniums for engaging and informative workshops on mental health issues. A group of 12 coordinators, 10 speakers and 90 volunteers worked to bring the message of hope and inspiration to the community and many left with a newfound confidence in talking about mental illness and helping others in their lives. Photos, videos and press release will go up soon! Dr. Shimi Kang, Dr. Gulzar Cheema, Dr. Jas Bhopal, Ms. Arvinder Grewal, Dr. Rajpal Singh, Dr. HaFeez Mian, Dr. Poonam Tangri, Dr. Nirmal Kang, Dr. Arvind Kang, Dr. Suman Kollipara, Ms. Babeeta Chhabra & Dr. Raminder Pal Singh Kang. CMHA Simon Fraser, Bounce Back Program, Sources Community Resource Centres, MOSAIC, DIVERSEcity, PICS, Options BC, Realistic Recovery Success Society, Richmond Addictions, F.O.R.C.E. Society for Kids’ Mental Health, and Kelty Mental Health Resource Centre. 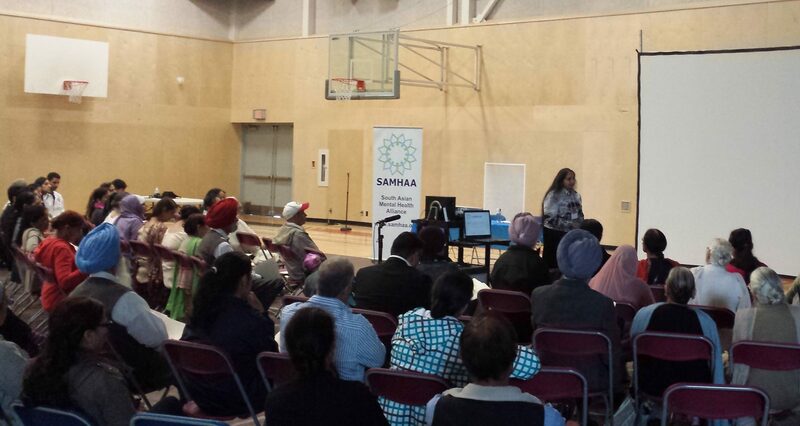 BC Mental Health Foundation, Rotary Club of Vancouver-Fraserview, Source Community Resource Centres, Surrey Schools (SD36), Radio Shere-E-Punjab 1550AM, OMNI TV, Gateway Pizza & Catering, Rightaway Party and Tent Rentals, Goldmine Insurance, Verka Foods, Gagan Foods, and Sabzi Mandi. Minister Michael de Jong, MLA Jagrup Brar, MP Jasbir Sandhu, Peter LeBlanc, Merlin Chatwin, and Karen Sekhon. better tomorrow; and may you enjoy peace and prosperity while making the world a better place.